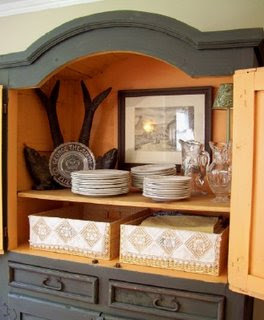 I love armoires for storage. 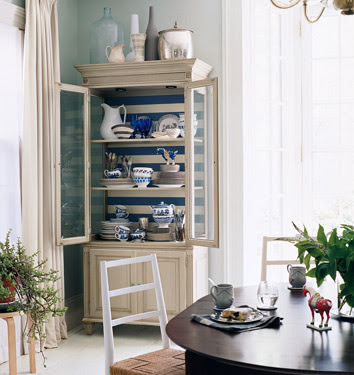 As you can see with these pictures, armoires don't just have to be used for clothes or linens. Here they have grouped a collection of pottery. 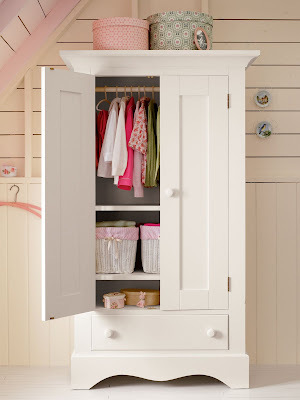 This one has been turned into a mini closet for a child. Tuck an office out of the way. When company comes over, close the doors and no more mess! 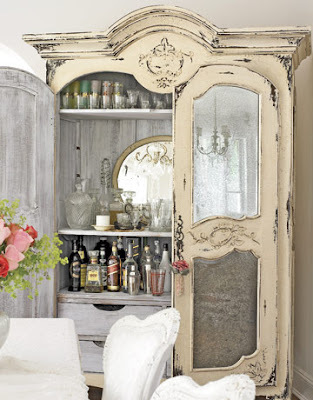 How about lining the back of an armoire with wallpaper, wrapping paper, or mirrors? 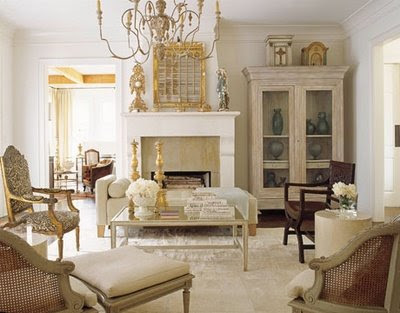 these 2 armoires were built in for a seamless look. This one is very grand. I love going to 2ND hand shops and finding one with good bones. 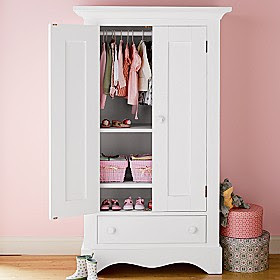 Add some appliques and paint, distress it, and you have a beautiful custom armoire! This is my new favorite look. Turning one into a bar. 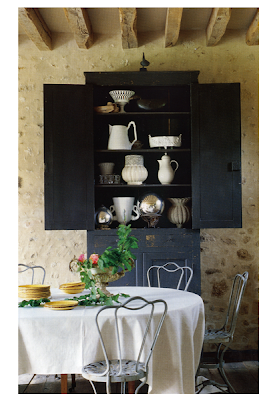 This one from country living is my all time favorite! 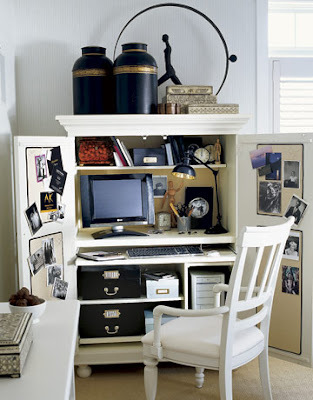 Have you done anything clever with an armoire? Great post. I'm glad I found your blog. 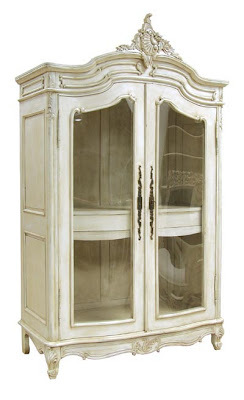 I wish that I could say that I have done something exotic with an armoire....but I can't. 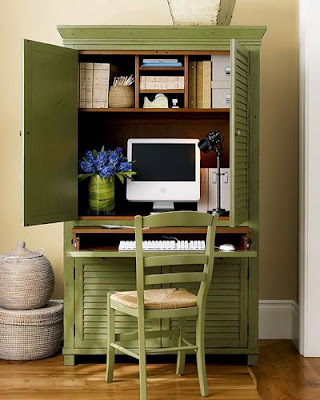 I would love to use one for a tuck away office like the green one in your pictures. That last one is stunning. These are gorgeous, the last one is my favourite too! 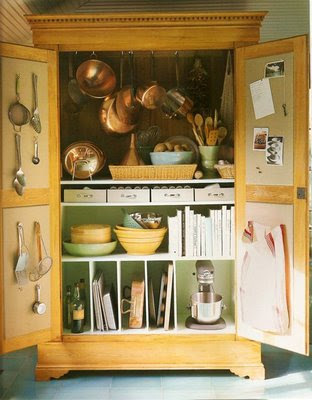 I love all of those armoires! Beautiful! Love all the options ~ I really like the bar. I have the perfect place for one in our home. I'll be on the look out for one now. 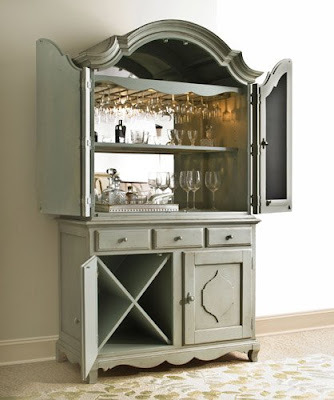 OMG, I am so turning my armoire into a bar as soon as we move it to another room (we have to find strong men to move it). I have a semi-sort of- bar in it now.